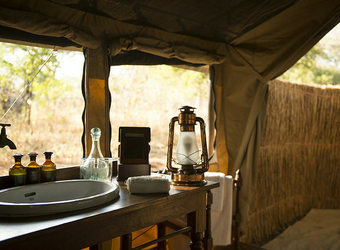 Step back in time at the remote outpost of Chada Katavi, the original safari camp in undiscovered Katavi National Park. 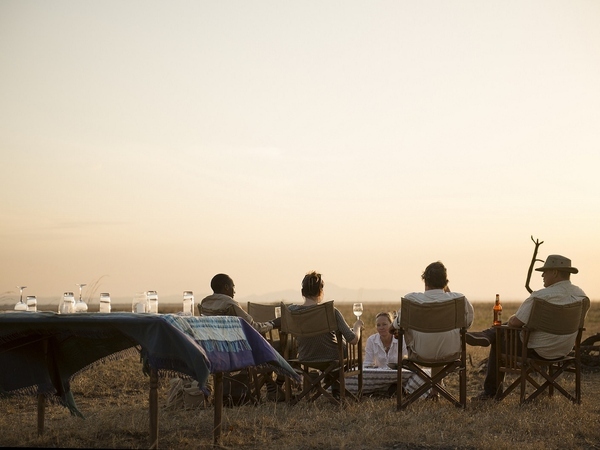 Here in far-west Tanzania, the rare visitor will find the greatest density of mammals in the country, congregating on the Chada River floodplains that sprawl to the horizon in front of the camp. 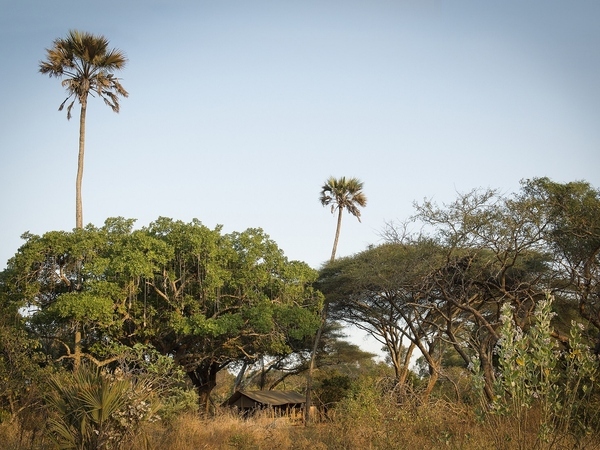 Chada Katavi offers unparalleled isolation, as alone in the bush as it was when it was built 20 years ago. 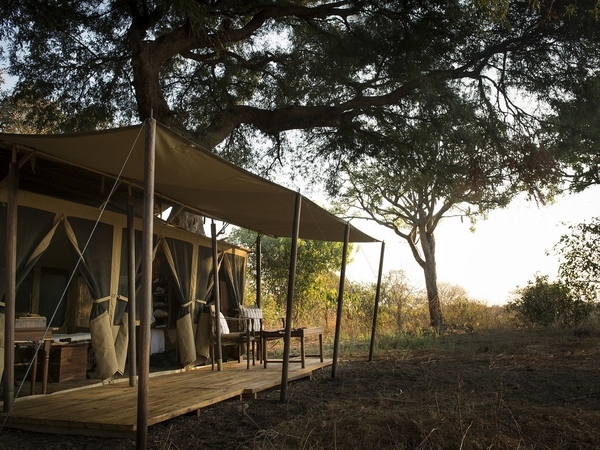 Katavi is such a special place because it’s so remote, and the simplicity and comfort of Chada Katavi really enhances that feeling of being out there in the wild. 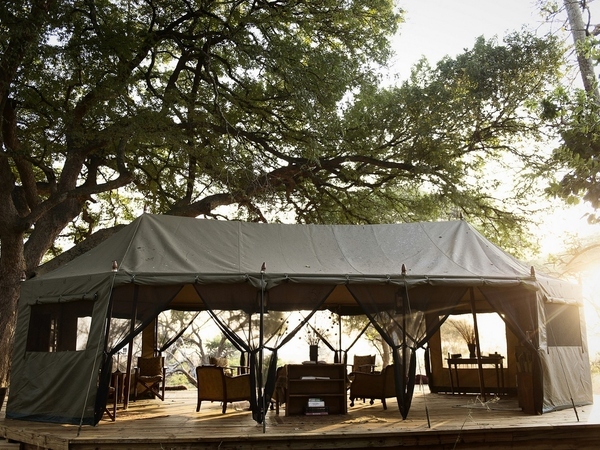 Intimate Chada Katavi is comprised of just six classic canvas safari tents set under a canopy of acacia and tamarind trees. 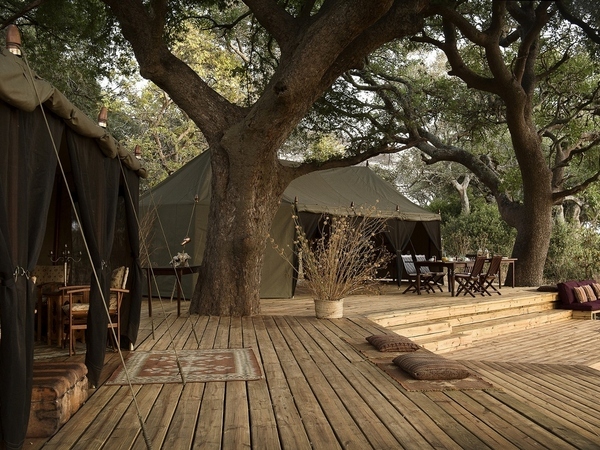 The spacious tents feature open fronts and wide verandas with panoramic views of the Chada Plain, where steady streams of animals come and go over the course of the day, including elephants and large herds of buffalo. 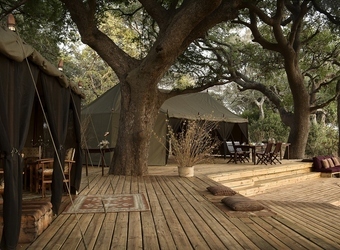 The tents are raised on wooden platforms with plenty of net windows to let in the passing breezes. 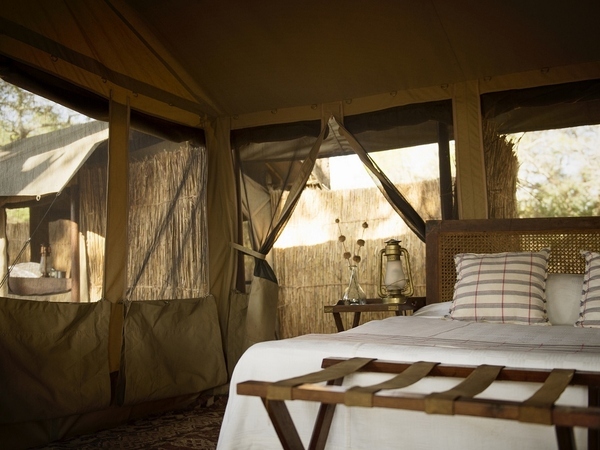 Old-time safari ambiance is enhanced with wooden furniture, woven rugs and crisp white Egyptian cotton linens on the comfortable beds. En suite bathrooms are equipped with eco-flush toilets and traditional safari-style bucket showers with hot and cold water available upon request. 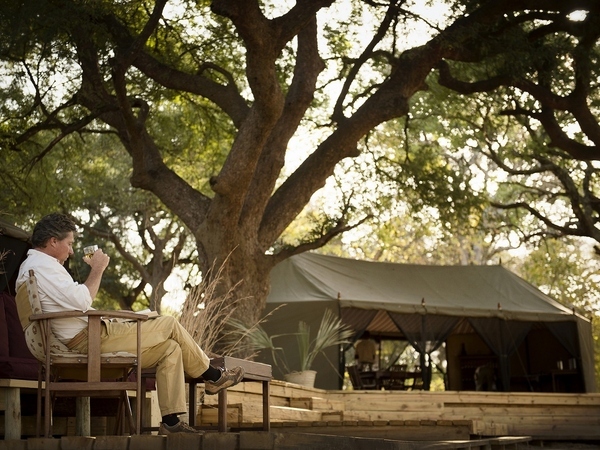 The dining tent and library are located in a clearing, inviting spots to relax between the excitement of daily wildlife drives. 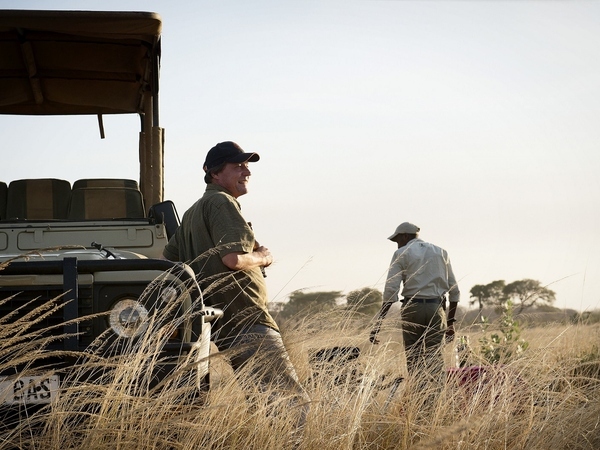 Evenings begin with sundowners around a crackling fire, followed by a hearty dinner under the stars. 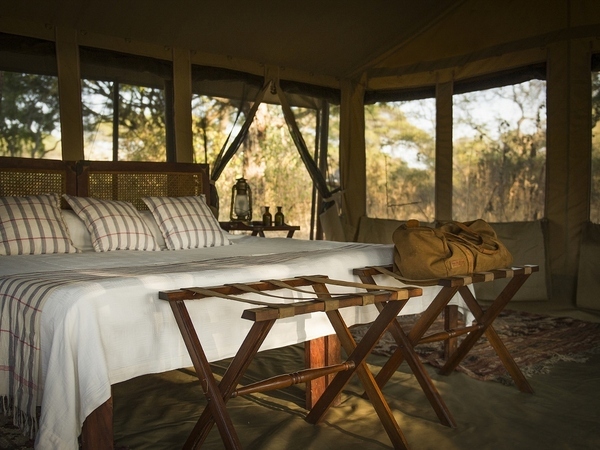 Located in Katavi National Park in the far reaches of western Tanzania, Chada Katavi offers a truly remote safari experience. 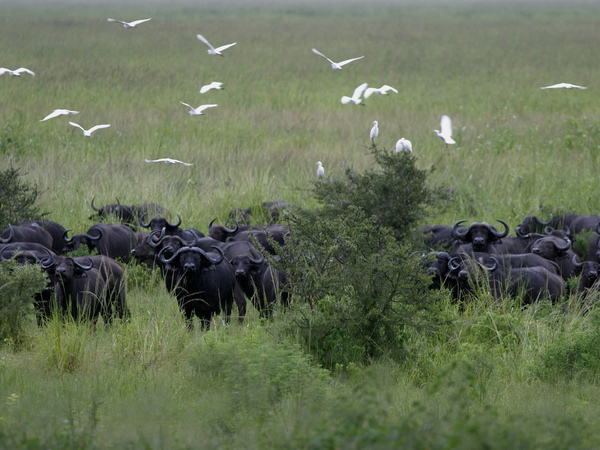 The park, one of the wildest places in the country, boasts the greatest density of mammals of any reserve in Tanzania. 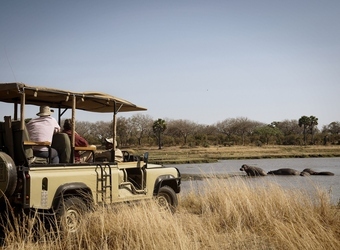 In all directions, whether in the shade of the acacias, along the nearby rivers, on the floodplain in front of the camp or the grassy savanna beyond, visitors will see wildlife. 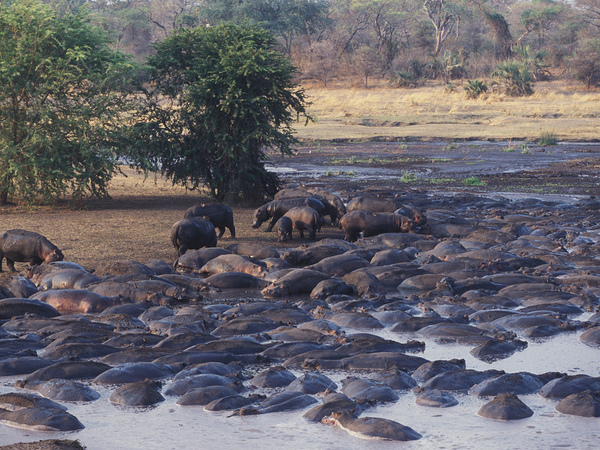 Huge herds of buffalo roam the plains, while the rivers are crammed with hippos and crocodiles. Other abundant species include elephant, lion, leopard and cheetah. Birding is great throughout the year but especially in the months following the short rains from December through February. 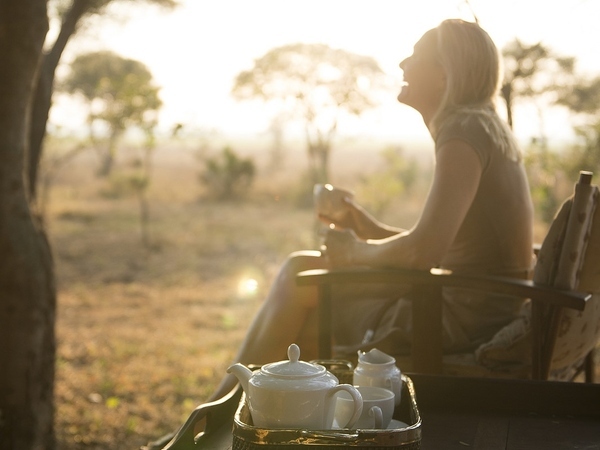 Guests have a range of activity choices including twice-daily nature drives, walking and birding safaris, and ‘fly camping’ out in the wilderness under the stars. 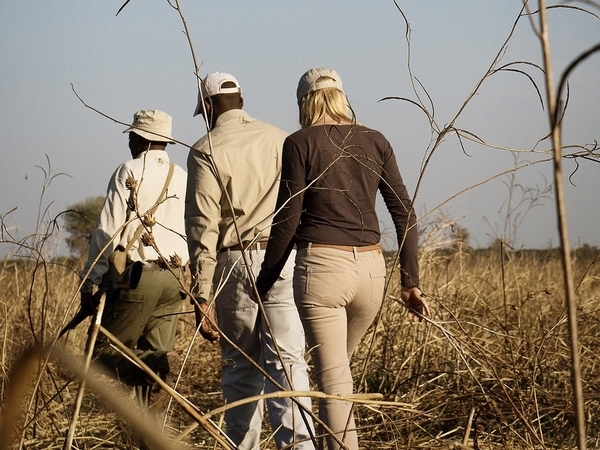 Walking safaris may reveal sightings of the shy roan and sable antelope on the open plains. The below chart helps to illustrate major wildlife sightings often experienced in Katavi National Park. Peak viewing of large mammals and predators is between July and November, when water is scarce and the animals congregate around the few water sources. 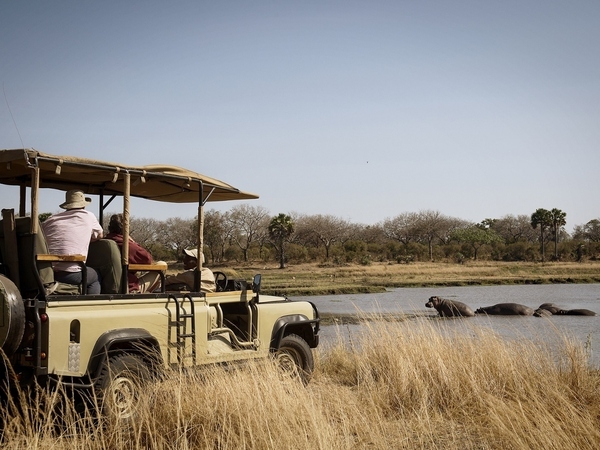 Other typical sightings may include impala, warthogs and a number of other mammals, birds and reptiles. Exact sightings will depend on seasonality and wildlife movements. Chada Katavi is committed to operating sustainably and consistently strives to minimize its impact on its pristine environment. The camp uses solar-generated power, biodegradable products for cleaning and washing, and works to reduce its consumption of water. Chada Katavi also is committed to empowering local community members by supporting education and environmental awareness programs in the area. Through its support of the Nomad Trust, Chada Katavi is a major supporter of the local Usevya Youth Center and is helping to build new facilities for the school. In addition, Chada Katavi is directly involved in helping to educate the students about conservation and the environment. The trust facilitates 'a day in the park' for local children with the goal of teaching them about the wonders of their natural environment and the importance of protecting it. The trust is also helping local communities build rocket stoves, which decrease their dependence on firewood. 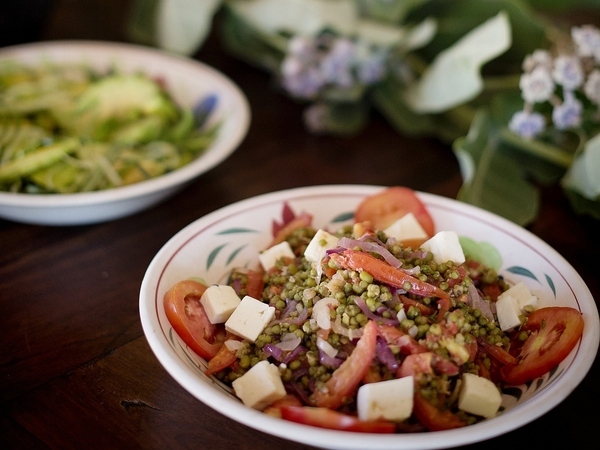 When did you visit Chada Katavi?